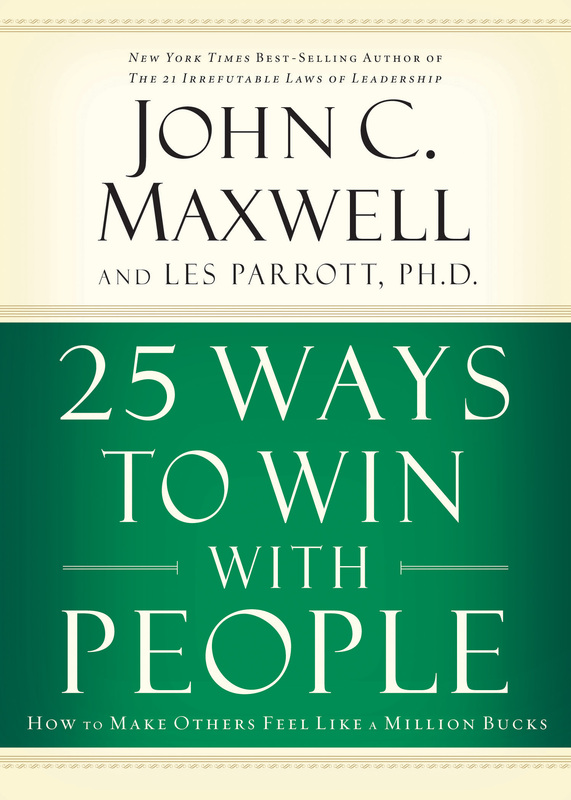 Dr. John C. Maxwell and Dr. Les Parrott have joined together to author 25 Ways to Win With People. Each expert brings his own unique perspective to winning with people–one as a seasoned communicator and leadership authority, the other as a professor of psychology and relationship expert. Dr. Maxwell shares practical examples of how he wins with people in everyday life. Dr. Parrott backs up those insights with evidence from recent psychological research. Together, they show how anyone can win with people by making others feel like a million bucks.